Riesling: How Sweet It Is? There is no doubt about it: Riesling is one of the world’s great wines. I think my students were slightly stunned by the eight Riesling wines (ranging from very dry to an ice wine) that they sampled at a recent tasting I organized for them. Riesling drinkers know “how sweet it is!” (to borrow Jackie Gleason’s signature phrase). The wines are good and good value, too. Some of the best American Rieslings (wines like Poet’s Leap or Chateau Ste Michelle’s Eroica) sell for only about $20. What a deal! But the reason these great wines are great bargains is that the demand for them, while on the rise, is really not so great. Consumers by and large are afraid to buy Riesling. They don’t know how sweet they will taste or if they will like them. 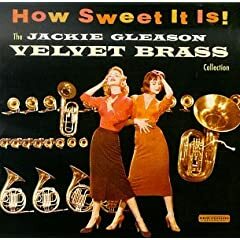 The “how sweet is it?” question and the “how sweet it is” exclamation (of those who know the answer) are thus inextricably linked. Students of economics will recognize this as a problem of asymmetric information. The people who make wine know its flavor profile and the people who buy it presumably know what they like (although winemakers tell me that people tend to say they like dry Riesling, but end up buying sweeter products). But they don’t know what’s in the bottle and can only find out by trying it. Experimentation typically leads to confusion and disappointment as bottles that say “Riesling” produce glasses with much different taste. At some point, for many buyers, the disappointment factor is just too big. Lots of other wines out there. Why beat your head against the wall? Riesling sits on the shelf. One answer to the asymmetric information trap is signaling: tell the buyers what they need to know to make a purchase with confidence. It sounds pretty simple, but Riesling makers have until recently resisted it. Of the seven Riesling table wines at my tasting, only two of them used the front label to signal something about the relative sweetness of the wine. The Pewsey Vale was labeled a “Dry Riesling” (and it was pretty dry, too) while the Pacific Rim bottling billed itself as a “Sweet Riesling” and was medium sweet and very tasty. I first learned about this initiative at the 2008 Riesling Rendezvous conference, sponsored by Chateau Ste Michelle (Washington State) and Dr. Loosen (Mosel, Germany). An international group of Riesling producers decided to confront the asymmetric information problem head on by developing a simple way to communicate useful information about their wines. Here is an example of the scale they have come up with taken from a limited edition Chateau Ste Michelle product. As you can see, it is pretty simple — just four descriptors ranging from Dry, Medium Dry, Medium Sweet to Sweet with +/- variation. This wine is “Dry +” — between Dry and Medium Dry. This would seem like a very small step were it not for the fact that the current state of bottle information is so very limited and uneven. I suspect that this small step will help a lot of wine drinkers take a positive step towards enjoying Riesling. How do you define sweetness in wine? Well, of course, it is a matter of balance between sugar and acid — with the right balance even a dessert wine with a high residual sugar level can avoid having a sticky sweet taste. 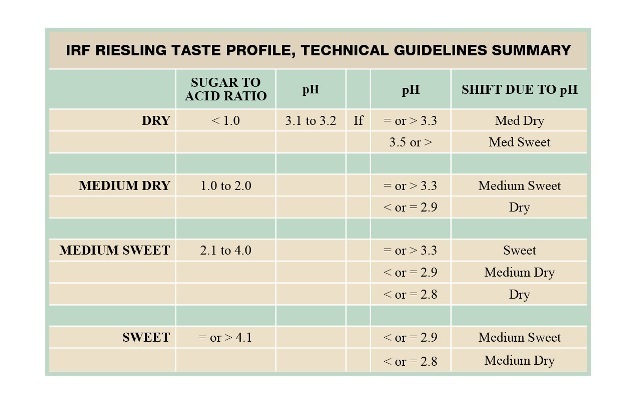 Translating the chemistry into a taste profile, however, is a complicated matter. Here is how the IRF handled the problem. As you can see, the standard begins with a simple sugar to acid ratio test (a relative calculation of grams per liter of acid and sugar). It then takes into account the absolute pH, which can push the rating up or down one level of perceived sweetness. Click on the table to enlarge it and see a more detailed explanation of the methodology. I am going to have to pull a few corks (or twist some ‘caps) to see if I agree with the scale and if there really is the desired consistency across makers. But I am optimistic that this is a step forward. If it works, how sweet it will be! 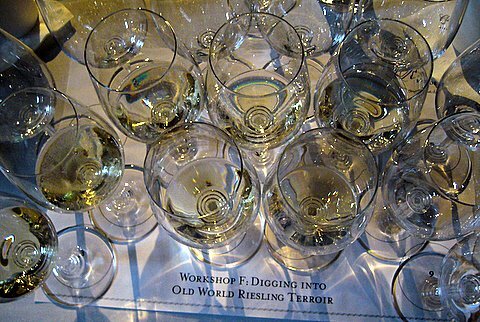 Note: I am looking forward to attending the 2010 Riesling Rendezvous and getting an update on progress on this and other Riesling industry issues. We are jumping in with both feet on this one to try and educate people as much as possible at the point of sale. I guess it is really about my idea of wine – that wine is a liberal art and a fascinating social mirror. The fact that it tastes so good is a wonderful bonus. Wine isn’t usually included in the liberal arts curriculum, reflecting America’s prejudice against anything that contains alcohol. But there is historical precedent. Symposium, in the original Greek useage, was a discussion over wine! Wine, as I think about it anyway, is certainly in the liberal arts tradition. Part of my course involves fieldwork. In 2008 I took the class to experience two ideas of wine that they wouldn’t get on a typical winery visit. Ken Avedisian at Cordon Selections wine distributors gave us a tour of his warehouse and explained how the distribution business works. We learned how Ken successfully balances his deep love for wine with the need to make a living selling it. Most of all, I think, we came away with an understanding that wine business is really a people business and that Ken is successful because he never forgets this fact. Then we visited owner/winemaker Tim Narby at Nota Bene Cellars, where he makes spectacularly good red wines in an anonymous South Seattle industrial park. No fancy chateau here, just focused winemaking using exceptional fruit. We were fortunate to be there during crush, so my students got a clear sense of how wine develops by tasting at many stages from fresh juice to fermentation bin to barrel to finished product. The field trip popped some romantic visions of wine by revealing the reality of how it is made and marketed. This year we headed to Woodinville, Washington, which is home to four or five dozen wineries that range from tiny family operations to the large and magnificent Chateau Ste. Michelle. The fruit comes from Eastern Washington, but the wines themselves are made and sold here, close to the market in a classic “cluster” of inter-related businesses. Our agenda was to compare and contrast big and small winemakers to see what we could learn from the experience. We started the day at JM Cellars, a family winery that has in just a few years expanded from a couple of barrels to 5000 case annual production. The setting is so spectacular – perched an a hillside next to a wetlands – that Wine Advocate praises the view almost as much as the wine. Owner/winemaker John Bigelow took us through both the cozy winery and the hands-on production process (it was crush time once again) and I think everyone learned a lot about the art, craft and science of winemaking. It was easy to see that John enjoyed the opportunity to talk with a group that really wanted to learn about wine, not just swirl, sip, spit and move on. It was a great experience. After an alcohol-free lunch at the Red Hook Brewery pub (I think this made some of my beer-loving students want to cry!) we headed to Chateau Ste. 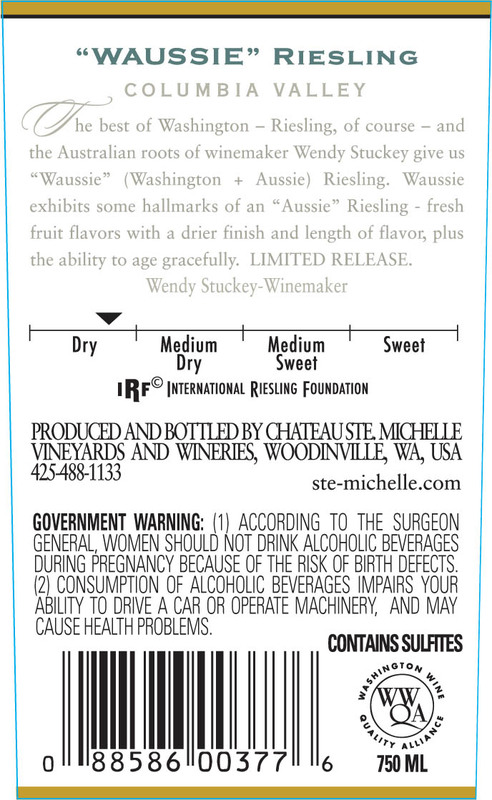 Michelle, which is Washington’s largest wine producer by a big margin. CSM and its sister wineries like Columbia Crest produce about three-quarters of all Washington wines. The beautiful Woodinville chateau-style facility makes nearly 2 million cases of white wine each year. The reds are made in Eastern Washington. Enologist David Rosenthal took time out from the rush of crush to show us how a big winery works. Tanker trucks were arriving every few hours from the Eastern Washington vineyards full of fresh Riesling juice. We were able to taste the fresh juice and at several stages of the fermentation produces, with David drawing wine from the giant stainless steel fermentation tanks. Quite a difference in scale compared to JM! One of the most interesting parts of the visit, for me at least, was to learn the extent to which CSM’s winemakers keep the lots of wine separate through fermentation and aging and, in the case of Chardonnay, make a point of experimenting with many different oak treatments. Instead of just making one big volume wine they actually make dozens and dozens of smaller lots, which can then be assembled in different ways that both reflect different geographic and geologic terroirs, different market ideas of wine (price points and so on, since CSM is in the wine business) and different aesthetic concepts of wine as well. Ted Baseler is President/CEO of Ste. Michelle Wine Estates, the most prominent wine company in Washington State. Under his leadership, it has evolved into a high performance organization known for its top quality, world-class wines; for its strategic partnerships with leading wine producers in Italy and Germany; and for collaborating with fellow members of Washington’s wine industry to help raise the region’s profile, worldwide. For his vision, leadership, brand-building, team-building, and region-building accomplishments, Ted Baseler is Wine Enthusiast’s Man of the Year. 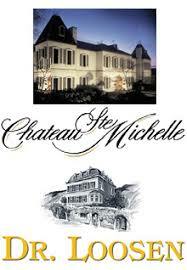 Sounds like Chateau Ste Michelle thinks big and global while acting small and local. Sounds like a contradiction, but it is an appealing idea of wine. Special thanks to Ken, Tim, John and David (and to Marci Clevenger at JM Cellars) for making time in their busy schedules for my students and several parents who came along on the trip. Thanks, as well, to the anonymous donor who established the Robert G. Albertson Professorship at the University of Puget Sound, which makes my class and this educational fieldwork possible. The global economic crisis has been bad news for Argentina, but good news so far for Argentinian wine. Will the wine part of the story have a happy ending or, like so many Argentinian economic booms, turn eventually to bust? The Economist Intelligence Unit reports that Argentina’s economy has been hard hit by the economic crisis. The economic forecast is gloomy (see below) with the only good news being that inflation, while still high, is falling. Given rapidly declining business and consumer confidence, the government’s fiscal stimulus measures will have a limited effect, and we expect the economy to contract by 3% in 2009, before only a mild recovery in 2010. Unofficially measured inflation will ease to 10-15% in 2009, as private demand falls. The official rate will end 2009 at 6.8%, with a similar rate in 2010. The peso will continue to depreciate in 2009 owing to weaker foreign-exchange inflows, before the pace of depreciation slows in 2010. The current-account position will weaken in 2009-10. The Argentinian wine economy situation is sunnier. The May 2009 issue of Wine Business Monthly includes two reports that paint a bright picture of Argentinian wine trends. The first story is a competitive analysis of Argentina wine in the United States market. It reports that U.S. imports of Argentinian wine have risen dramatically in recent years, from 2.6 million cases in 2006 to 4.3 million in 2008. The total value of Argentinian wine in the U.S. rose from $75 million to $146 million in this period. It is important to put this increase in perspective, however. Total Argentinian imports are roughly equal to the annual output of a single US winemaker, Washington State’s Chateau Ste. Michelle. So the Argentinian presence is rising, but from a modest base. Unsurprisingly, Malbec is Argentina’s calling card in the U.S. market. Malbec’s share of Argentinian wine imports increased from 35% to 48% over 2006-2008 measured by volume and from 44% to 55% measured by dollar value. I was interested to learn that Argentina wine sales are rising at all price points, not just in the value brand segment as you might imagine. But value is still important. Argentinian wine prices are rising, but still relatively low. The article reports that the average FOB price has increased from $29 to $33 per standard 9-liter case. In the same issue the results of the Nielsen company wine market survey for the period ending 2/7/2009 are reported. Argentinian table wine imports were up 40% by dollar value for most recent year. This compares to a 10 percent increase for Chile, one percent for Italy and a one percent decline for Australia. Overall growth in imported wines was 2.4 percent by dollar value for the most recent year. The 40 % annual rise is spectacular, but Argentinian wines account for just 1.4 percent of U.S. domestic wine volume compared with two percent for Chile, nine percent for Australia, almost 10 percent for Italy. This shows that Argentina either has a lot of room to grow in the U.S. market, as optimists will perceive, or a lot of work to do to escape niche player status. I think the Argentina producers were wise to focus on the U.S. wine market for their export surge. Although the European Union is more important to Argentina in other major export sectors, the U.S. is the target wine market, and that’s a good thing in this economic environment. EU wine consumption has long been in decline because of demographic and market shifts, for example, while wine sales have been rising in the U.S. The recession is likely to depress wine sales growth in both the U.S. and the EU, but the impact will be less in the U.S., I believe, if only because I think the recession will be shorter here. My current thinking is that the U.S. economy will benefit from greater short term fiscal and monetary stimulus, compared with the EU, and more effective medium term structural adjustment. That said, the recession is and will be very severe. Early U.S. evidence suggests that wine sales have actually continued to rise during in the first year of the recession, when measured by case volume, although the dollar value of those sales has declined as consumers trade down. Reading the latest articles on WineSur, a noteworthy Argentinian industry website, it pretty clear that Argentina producers appreciate both the opportunities and threats inherent in the current situation. The opportunities — to establish a market presence built around good value and the rising popularity of Malbec — are significant. But I think it must be hard for Argentinians to see silver linings without looking around for associated dark clouds — their country has suffered repeatedly from the global market booms and busts. Some of the threats are strictly economic. Argentinian producers are currently benefiting from a falling peso value relative to the US dollar, for example, which helps their wine hit market-friendly price points in the US. But the falling currency is in part a reflection of high domestic inflation rates, which ultimately lead to higher production costs. A lot will depend upon how the inflation (cost) and exchange rate (export price) factors balance out in the future. Some of the threats relate more to the fickle nature of the wine market itself. Malbec and Argentina are nearly synonymous today, but this could change as other wine regions adopt their signature varietal. A recent visit to the Walla Walla AVA, for example, found many producers experimenting (successfully, I think) with Malbec. Argentina has the first mover advantage in Malbec and must capitalize on this because it will face more competition in the future. This happened to New Zealand (Sauvignon Blanc) and Australia (Shiraz) and I do not think Argentina will be different. In exploiting its Malbec lead Argentina will need to strike another difficult balance, between establishing a useful “house style” that will build market identity and letting this deteriorate into a stylistic “monoculture” that soon bores consumers. It seems to me that Australian Shiraz is currently suffering from the “monoculture” curse, perhaps unfairly, while New Zealand still benefits from a popular “house style,” although I’m not sure how much longer it can ride the gooseberry wave, especially given the vast quantities of Sauvignon Blanc that need to be sold. Argentina is at a crossroads at a critical moment and moving in the right direction. Count me cautiously optimistic regarding the future of Argentinian wine. 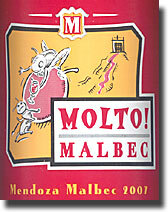 Update: Just hours after I posted this piece about Argentina the following item appeared on the Decanter.com website. Due to climatic conditions, this year’s wine harvest in Argentina will be down 25% as compared to last year. According to Argentina’s National Wine Institute, hail in some provinces, and overall higher temperatures in February and March, are factors in the lower production output this year. The lower production this year has occurred despite Argentina having a 12% increase in land under cultivation for wine grapes. Garcia added that Argentine wine companies need to begin keeping more than three months of stock on hand to make up for such production shortfalls. In Chile, wine growing areas that are not irrigated, such as Cauquenes in the Maule Valley, are predicting a similarly low harvest, with an estimated drop in production from 30 to 40% because of higher temperatures and low rainfall. Most wineries in Chile, however, are reporting a good harvest. ‘The lack of rain has been good for this year’s harvest. But wineries in the far south, such as in the Bio Bio, may experience changes to quality because of the higher temperatures,’ said Edmundo Bordeu, professor of oenology at Chile’s Catholic University. The Bible tells us that Jesus turned water into wine (John 2:1-11) — a miracle! Given the amount of water used in making wine today I think the miracle isn’t so much the conversion itself (no sacrilege intended) as the efficiency with which it was accomplished. Jesus didn’t waste a drop. Improving water use in winemaking is a serious issue today. Readers of this blog know that water is important in wine production, but you may not appreciate just how much the wine industry depends upon cheap water supply. I have written about the effects of the Australian drought on wine output there, for example, and how producers like Casella (Yellow Tail) are adjusting. But water isn’t just an Australian wine problem, as everyone in the business knows, and the situation isn’t getting any better. So the December 2008 issue of Wine Business Monthly is especially welcome. WBM chooses a theme for the last issue of each year and this time it’s “The End of Cheap, Plentiful Water;” it is required reading for anyone interested in the economics of wine. Much of what follows is based on data from the WBM report. Given all the attention that the Australian drought has received it would be easy to dismiss wine’s water woes as just another example of the challenge of global climate change. And while this is undeniably true to some extent, I think it is more useful to think about the water problem in terms of supply and demand. The supply of water for wine production is limited by nature, of course, especially in the long run, but that’s the easy part (and the focus of the climate change discussion). It is perhaps more realistic to consider that the supply of water for wine is limited by competing water needs. Water is valuable for environmental purposes, such as to maintain fish runs, for example. Water is needed for residential and industrial uses, too. And of course water is in very high demand for agricultural crops other than winegrapes. About 80% of California’s annual non-environmental water “budget” goes to agriculture, including wine. Residential and business use accounts for rest. As population continues to grow, the squeeze will affect everyone. Between competing uses and recent drought conditions, it is no wonder that the water supply for winegrape production is being squeezed. All agriculture suffers when water becomes scarce and drought conditions force both a general reduction in farm output and also a shift away from the most water-intensive crops to those that use water more sparingly. In Australia, for example, we have seen a decline in grape production in some areas due to drought and a shift from rice to grapes in other areas. 2001 data from the California Department of Water Resources estimates that grape growers in that state use an average of 2 acre-feet of water. That’s about 25% more than used for grain crops, but much less than rice production (nearly 6 acre-feet of water) or corn and tomatoes (about 4 acre-feet). Water use in winegrape production varies considerably. Irrigation isn’t always necessary or even desirable, but high volume production is very water-dependent. It takes 75 gallons of water in the vineyard to grow the grapes for one gallon of wine in the California North Coast area. That seems pretty inefficient until you compare it with Central Valley production, where the ratio is 430 gallons in the vineyard to one gallon of wine! Water is also used in some areas for frost protection, which can adds to the total water bill. Water use doesn’t end once the grapes have been harvested. On average it takes about six gallons of water in the cellar to make a gallon of wine. Barrel-washing and tank cleaning account for much of the water use, but everything in a wine cellar needs to be as clean as possible, and water is often the most convenient tool. The trick, as many wineries have discovered, is to conserve and recycle. High pressure / low flow nozzles and barrel-cleaning rigs can do more with less. Waste water can be collected and filtered for many uses from irrigation to flushing the toilets. Erath Winery in Oregon employs a filtration process that allows it to reused 97 percent of winery processing water in one way or another. (Local ryegrass farmers use the rest as fertilizer.) Snoqualmie Vineyards, like Erath part of the Ste. Michelle Wine Estates group, uses just 2.9 gallons of water in the cellar per gallon of wine, an indication of the sort of savings that are possible. article. It’s only a matter of time, I think, until we start worrying about our water footprint as well as our carbon footprint. You can learn more about the water footprint concept at WaterFootprint.com. Here are some estimates of water costs associated with various products as reported on their website. I have seen reports that a Big Mac’s water footprint is 5000 litres, a huge number but understandable when you consider that the production of beef and cheese are both very water-intensive (particularly when the cattle are raised on diets of irrigated grains instead of natural grasses). I guess a kilo of beef requires 15,500 litres of water. Amazing! These figures are estimates of the total water use, including transportation and packaging, which is why the wine figures are so high. I’m sure that it takes a lot of water to produce and clean wine bottles. The labels (paper), closures and shipping boxes add to the water footprint. 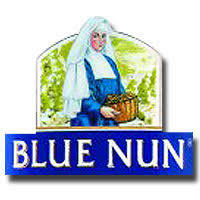 It all adds up, for wine as for other products. The wine industry is in the vanguard of many important environmental movements. Being green (and now blue, I suppose, to represent water) is good marketing for a lot of industries. But it is good economics for the wine industry, too, because water is such a key resource that we need to manage well in the vineyard, in the cellar and throughout the production process.